The Huon MP has called on the Government to tell the people of Morobe and PNG the true value proposition of the recently signed Memorandum of Understanding with the Wafi-Golpu Joint Venture. Ross Seymour says the Province and its people have always supported the growth and development agenda of the country and economy, but they should not be taken for granted. In a statement, the Huon MP said they need to know that the State is putting their interests first. Seymour said: “History shows that Morobe Province and the people of Morobe have always been at the forefront of progressing development of Papua New Guinea well before the birth of our new united country in 1975 to the present day. “Morobe’s economic contributions began shortly after it was settled in the late 1800s, first by the Germans then later as a British colony under the Australian Administration. Morobe people through their toils had set the foundations for the journey towards nationhood. Yet in those early years, despite their efforts, they remained uninformed onlookers. “In the 1920s and ‘30s, the Wau and Bulolo minefields had also made many in both Australia and the new protectorate of Papua and New Guinea prosperous and wealthy, but not the people of Morobe. Perhaps it is time to recognise our sacrifice and our efforts, and give back to the people of Morobe what is fair and equitable, and not least to the people of Huon, Bulolo and Lae. He said as of today, they refuse to be bystanders and uninformed onlookers. 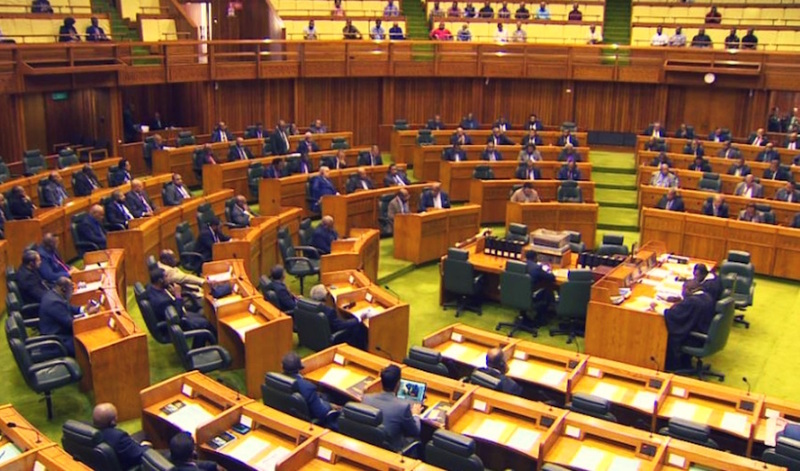 Seymour claims the State and the corporate bodies have already agreed to a 51 percent / 49 percent free cashflow split, and they expect that the benefits accrued from the mining project is extensively redistributed to the rest of PNG. “So from within Papua New Guinea’s share as guaranteed by this current legislation what is my people’s fair and equitable value proposition? “As I understand it, the Mining Act precipitates a negotiation process and an outcome thereafter and this can only happen and be determined in a negotiated process during a development forum and secured under an MOA which has not yet been concluded! Seymour impresses upon the Prime Minister and Ministers Johnson Tuke and Sam Basil to inform the public of the true value proposition of the MOU as opposed to what would have been if they had merely employed the existing and current provisions of the Mining Act. Seymour also called on Governor Ginson Saonu to employ wisdom in dialogue rather than submit to a Court proceeding to settle this delicate issue. Meanwhile, the Prime Minister has stated in the January sitting of Parliament that the MOU signed with the WGJV is an understanding between the parties on their expectations of the project. He said they will ensure the Tutumang, landowners and other stakeholders have properly negotiated stakes before the project agreement is concluded by June 30th this year. O’Neill said despite the current court action by the Tutumang against the State, they will not be excluded and will be involved in the project agreement negotiations which are yet to take place. “We have tried to engage with the provincial government but there has been some misunderstanding. Morobe Provincial Government to its own wish they have established a consultancy team to advise them on the issues going forward and we respect that, that is the right of the Morobe Provincial Government but we are not excluding the Provincial Government on all these negotiations,” said the Prime Minister.